CLOSEOUTS. 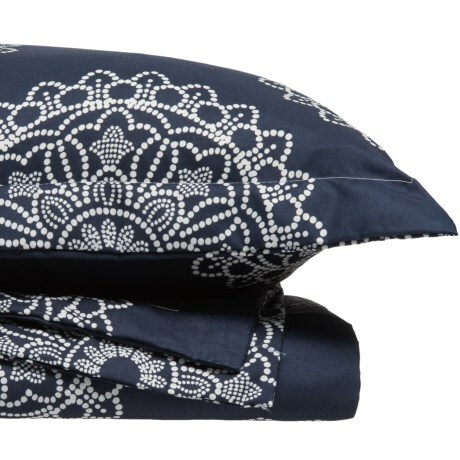 Bold, boho style for the bedroom! EnVogueand#39;s Agrican Queen duvet set boasts a giant floral design in rich colors, complete with two matching shams. Available Colors: NAVY. Sizes: QUEEN.